On September 23, 2009, the Pennsylvania Superior Court handed down a monumental UIM decision in the case of Pusl v. Means, 2009 WL 3065089 (Pa.Super. 2009, Judges Bowes, Freeburg, and Popovich). Under the opinion written by Judge Popovich, the Superior Court held that, where a plaintiff first obtains a UIM recovery prior to the conclusion of her suit against the third party defendant tortfeasor, the third party defendant is entitled to have any verdict entered against him reduced by a credit or set-off in the amount of the underinsured motorist (UIM) benefits previously secured by the Plaintiff. By way of background, the plaintiff in Pusl had recovered $75,000.00 in UIM policy limits under his own automobile insurance policy from State Farm prior to the completion of the the trial against the tortfeasor defendant. The opinion indicated that the UIM recovery was by settlement. At the later trial against the defendant tortfeasor, the jury entered an award in favor of the plaintiff in the amount of $100,000.00. In post-trial motions, the defense requested a molding down of the verdict to $25,000.00 after the application of a credit or set-off of the $75,000.00 UIM benefits already previously received by the plaintiff. The trial court granted the defendant's request and, on appeal, the Superior Court affirmed. In so ruling, the Superior Court weighed two conflicting public policies against each other. 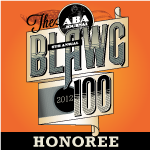 The first was a recognized public policy against double recoveries by plaintiffs. The second policy was that a tortfeasor should be liable for the all of damages he caused. The Court in Pusl noted that the first public policy, against double recoveries, was essentially codified in 75 Pa.C.S.A. Section 1722, "Preclusion of recovering required benefits." That statute provides that "[i]n any action for damages against a tortfeasor...arising out of the maintenance or use of a motor vehicle, a person who is eligible to receive benefits under the coverages set forth in this subchapter....shall be precluded from recovering the amount of benefits paid or payable under this subchapter...."
The Court went on to note that Section 1722 "was obviously designed" to refer to first party benefits under the Motor Vehicle Financial Responsibility Law (MVFRL). The plaintiff's UIM benefits were found to "fall within Section 1722's first-party benefits because the UIM benefit was paid to her from her personal insurance policy with State Farm." Therefore, according to the court, the plaintiff's receipt of both the full jury award from the defendants and the pre-trial UIM settlement with State Farm would constitute a "double recovery" that the MVFRL was specifically designed to prevent. As such, the trial court's molding of the verdict was found to comport with Section 1722 and the public policy of preventing double recoveries by plaintiffs for the same injuries. The Court disagreed with the plaintiff's argument that the reduction of the verdict amount violated the second noted public policy requiring that a tortfeasor defendant to pay for all of the damages he or she caused. Also rejected was the plaintiff's argument that the defendant was not entitled to a "set-off" of the UIM benefits previously received under the collateral source rule because the UIM benefits were collateral source benefits. Judge Popovich wrote that by molding the verdict down by the $75,000.00 previously received in UIM benefits, "it appears, at first glance, that the public policy underlying the collateral source rule was ignored in favor of Section 1722 by lessening the amount of damages that the jury attributed" to the defendants. However, the Court went on to reason that the tortfeasor's liability was not lessened or reduced at all because, State Farm, the carrier that paid the UIM benefits, still had the right to pursue a subrogation claim against the defendants to recover the $75,000.00 in UIM benefits back from the defendants. In other words, even though the verdict was reduced by $75,000.00, and the defendants did not have to pay that portion to the plaintiff, the defendants were still technically liable to State Farm to pay back that amount if State Farm elected to proceed on its subrogation rights. Thus, according to this opinion, the second public policy was not violated by the molding of the verdict. The Pusl Court reiterated that the "result of molding the verdict ensures that the [Plaintiff] will receive the full amount of damages the jury determined would make her "whole," i.e. , $100,000. To allow [plaintiff] to recover $75,000 in UIM benefits from State Farm and $100,000 in damages from [defendants] flies in the face of the established policy of this Commonwealth that an injured person is entitled to only one satisfaction for the harm incurred...."
Prior to the Pusl opinion, the issue of molding a plaintiff's jury award to reflect the pre-trial receipt of UIM benefits had only been addressed in the Delaware County Court of Common Pleas opinion in Shankweiler v. Regan, 60 Pa.D&C.4th 20 (2002). That opinion, previously viewed by some as an anomoly or in error, was cited with approval by the Pusl Court. The Court Pusl concluded its opinion by restating that it found no error in the trial court's decision to mold down the verdict by the amount of the $75,000 in previously secured UIM benefits "in light of the clear intention of the jury that [the plaintiff] would receive a total damage award of $100,000 for her injury." It is noted that the plaintiff's attorney in this matter was Michael John Koehler of the Erie, PA law firm of Nicholas, Perot, Smith, Koehler and Wall. Defense counsel was Craig R. F. Murphy from the Erie, PA law firm of MacDonald, Illig, Jones & Britton. 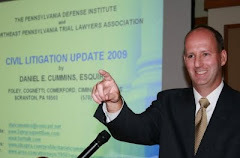 Furthermore, amicus curiae briefs were also submitted by the Pennsylvania Association for Justice on the plaintiff's side as well as by the Pennsylvania Defense Institute on the defense side. There has been no indication to date as to whether an appeal to the Pennsylvania Supreme Court will be filed. Although the Pusl opinion specifically holds that defense counsel is not required to do so, it may be wise to now in automobile accident matters to include a standard paragraph in the New Matter portion of an Answer and New Matter that asserts a right to a credit or set-off in the amount of any previous UIM benefits secured by a plaintiff against any jury verdict that may be entered against the defendant. Also, the Pusl opinion teaches that the inclusion of a motion to mold the verdict in post-trial motions is a proper vehicle to bring this issue before the court. I thank Attorney Matt Dempsey for bringing this case to my attention.